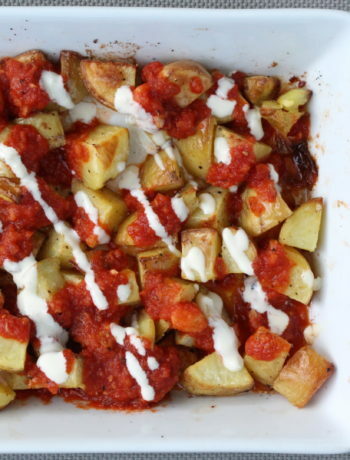 Looking for a super easy, fresh weeknight meal? 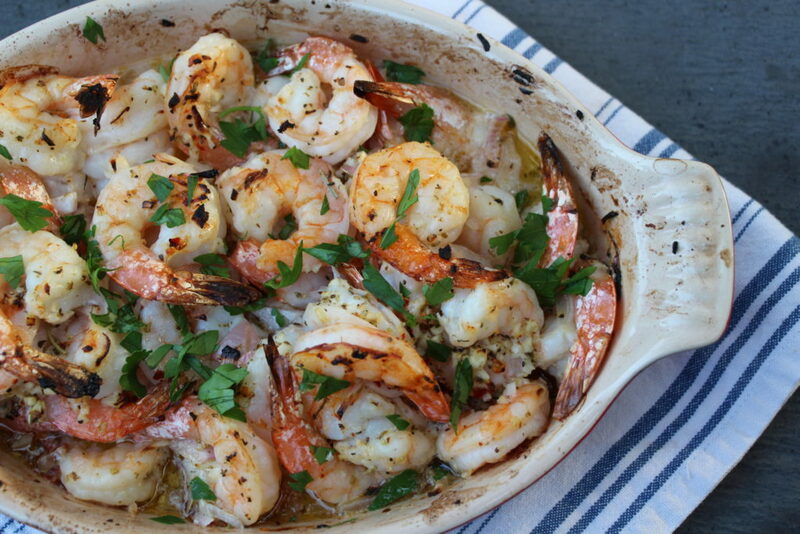 This Shrimp Scampi is it! We like to keep frozen shrimp in the freezer for an easy go-to, healthy meal. 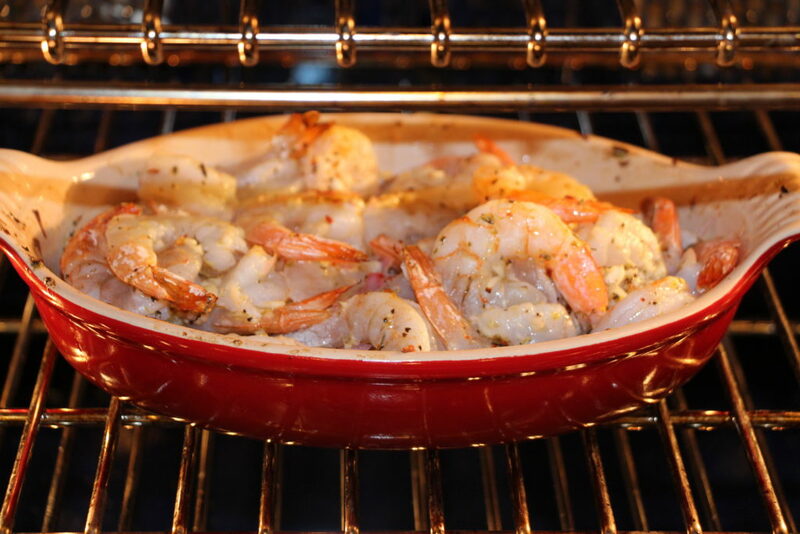 Defrost the Shrimp in a bowl of water and it will be completely ready to cook in 15-20 minutes! 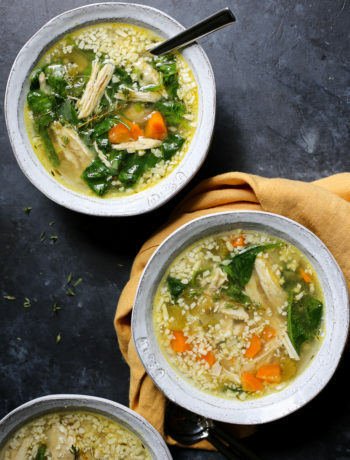 Serve this over zoodles for a healthy take on Shrimp Scampi or over some whole wheat or brown rice pasta if you need a little more oomph to you meal. 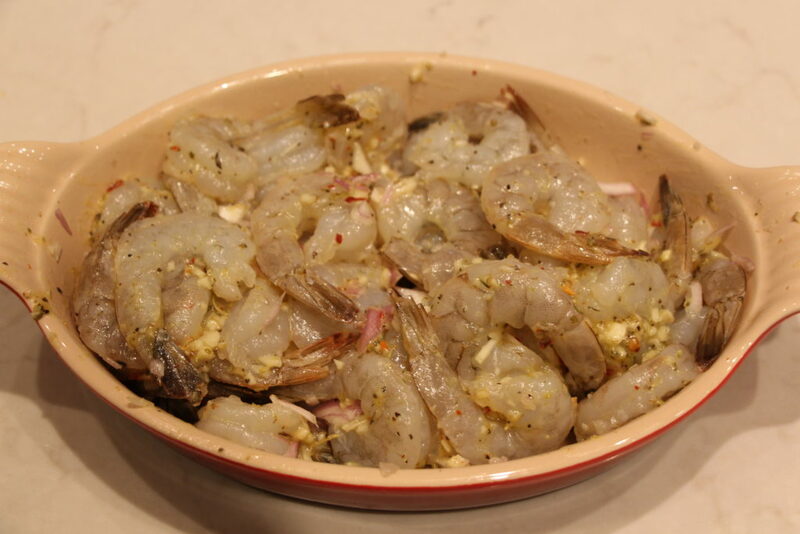 The shrimp alone stand as a great appetizer for when you have guests over, too! 2. 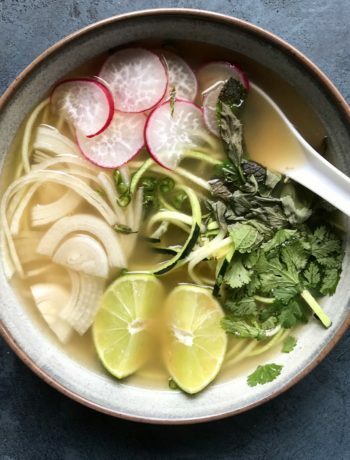 In a small bowl, whisk together the: ghee (or butter), garlic, olive oil, crushed red pepper, lemon zest, lemon juice, italian seasoning, salt and pepper. Whisk well to combine then set aside. 3. 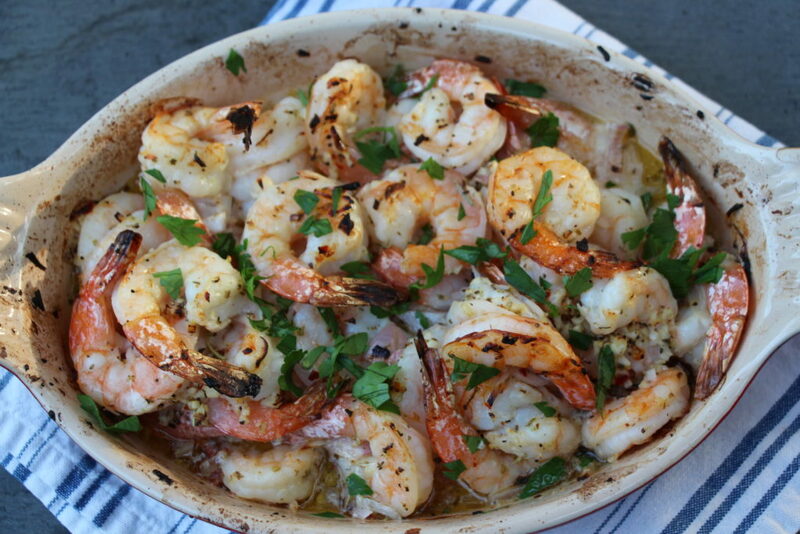 Place shrimp and chopped shallot in an oven safe dish or cast iron skillet. Pour the white wine evenly over the shrimp, then pour the olive oil mixture over them. 4. Place in oven, uncovered on the middle rack and bake at 425 for 12 minutes. 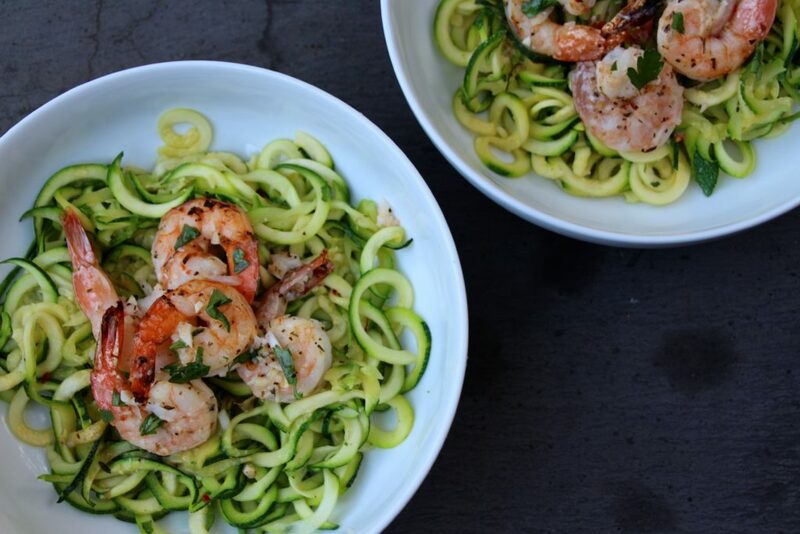 (While your Shrimp is cooking make your zoodles!) Arrange the racks so that the top rack is at the highest setting, then place your shrimp on the top rack and BROIL on high for 2 more mintutes (if you want it more browned on the top). 5. Meanwhile, let’s make the Zoodles. 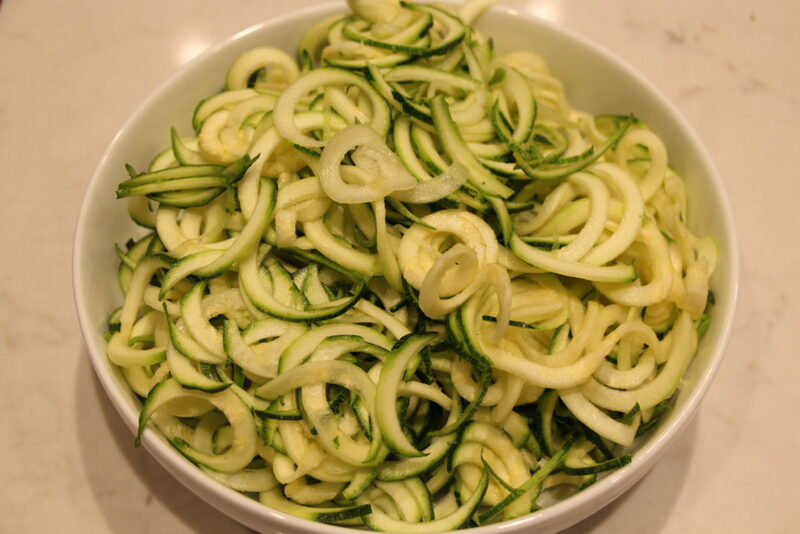 Zucchini Noodles have the tendency of becoming watery, the most important thing to do is to spiralize them immediately before cooking them. The longer they sit out, the more watery they get. So spiralize and throw them in a skillet over medium-high heat. 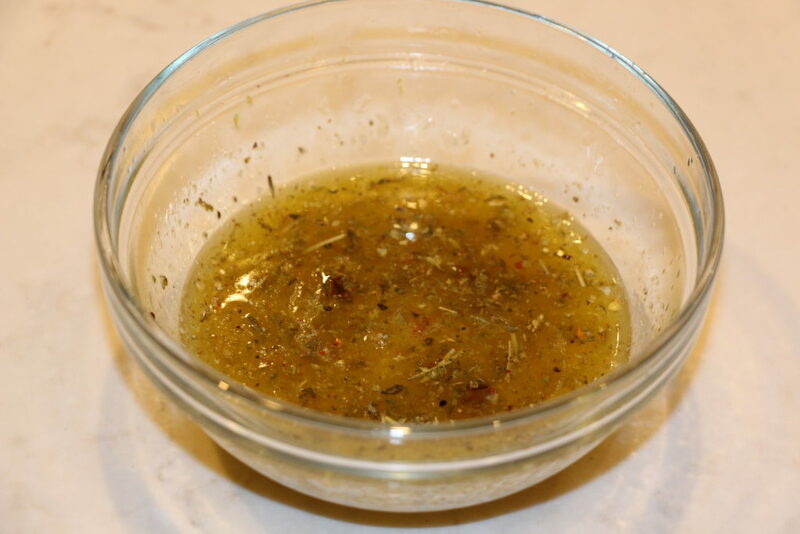 Drizzle with olive oil and saute quickly for 2-4 minutes, or until just slightly tender. Season with salt and pepper (or garlic salt). 6. 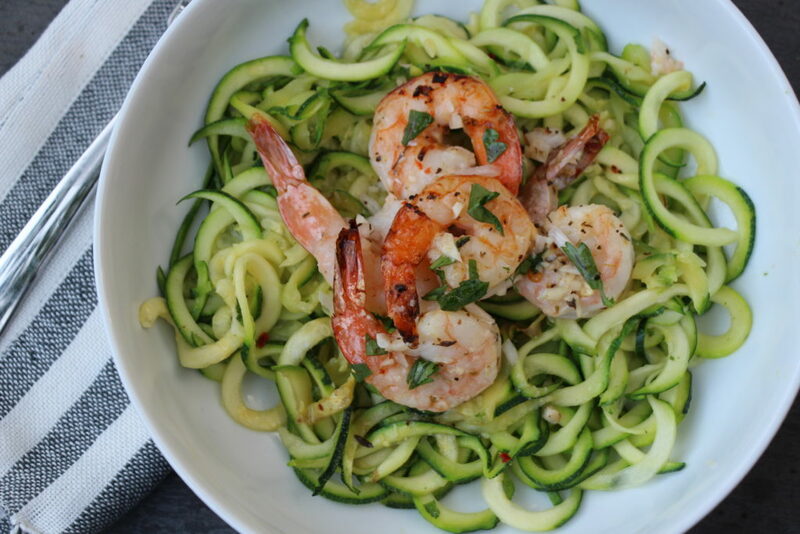 Serve Shrimp Scampi over the cooked zoodles immediately. Enjoy! Recipe adapted from My Kitchen Escapades.